To maintain an overview of the University's finances. This responsibility includes acting as Chair of the Finance Committee. 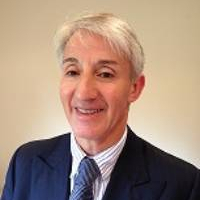 John Preston is a Fellow of both the Institute of Chartered Accountants in England and Wales and The Chartered Institute of Taxation. He left PricewaterhouseCoopers in June 2014 after 34 years, 23 of them as a partner. During that time he worked with some of the firm's largest global clients particularly, but not exclusively, in the financial services sector and in mergers and acquisitions. He also held a number of senior management roles both in the UK and as part of the Firm's Global Network. These included, for a major part of the firm's business, Chief Operating Officer, head of Risk and Quality, Financial Services Market Leader and global head of External Relations, Regulation and Policy. He was also Diversity Champion for several years. He is President and a long serving Council member of the Chartered Institute of Taxation, the largest professional body in the UK focusing solely on taxation with nearly 18,000 members. He is the Chair of the Merchant Navy Ratings Pension Fund, a pension scheme with assets considerably in excess of £1Bn and Chair of its Governance Committee. He is also a Trustee of both the PwC and DH&S Pension schemes with joint assets of over £2.5Bn and a member of both the Investment Committee and the Administration, Benefits and Communications Committee. He is a Mathematics graduate of the University of Kent at Canterbury.